Scientists have just uncovered one of the largest tsunami events in the geologic record, and naturally, it started with an epic splash. 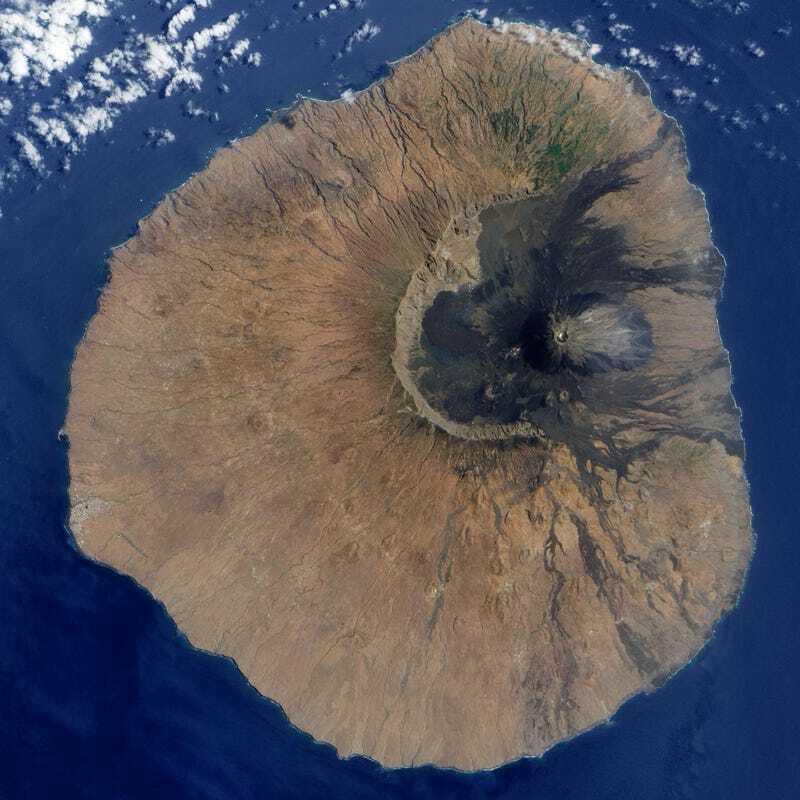 73,000 years ago, the eastern flank of Cape Verde’s Fogo volcano collapsed into the sea, kicking up an 800-foot wave. Think about that for a sec. That’s two thirds the height of the Empire State Building. If a mega-tsunami of that size struck a coastal city today, the consequences would be pretty apocalyptic. And such events aren’t outside the realm of possibility. “Most of these fairly young oceanic volcanoes — such as in the Azores and the Canary Islands and Hawaii — are incredibly high and steep, so the potential energy for a collapse to happen again is there,”said Ricardo Ramalho, a co-author on a study describing the mega-tsunami that was published this week in Science Advances. Evidence for the big splash came from Santiago Island in Cape Verde, where massive boulders and a trail of marine fossils lie strewn across a plateau as far as 2,000 feet inland and nearly 650 feet above sea level. The boulders are composed of marine rock types that typically ring the island’s shoreline, and the only reasonable explanation for their inland location is that a giant wave lofted them up. According to the team’s calculations, a wave powerful enough to carry the largest boulders would have had to have been at least 800 feet high as it approached the coastline. Using the concentration of helium-3 isotopes on the outside of the boulder, the researchers pinpointed the disaster to 73,000 years ago. Fogo remains one of the world’s largest and most active island volcanoes. We can only hope its days of shedding large chunks into the ocean are long over.